It's an animated film alright, but don't let that fool you into thinking this is a movie for kids. 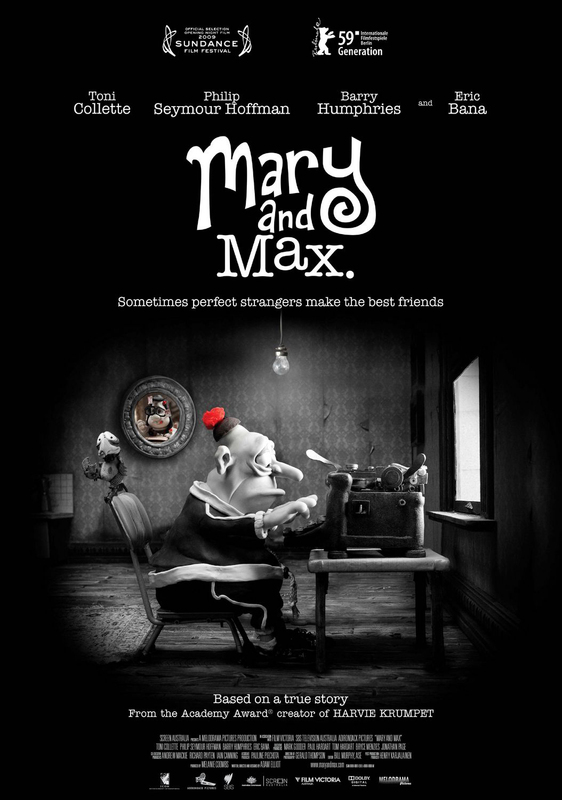 Mary and Max is about alcoholism, obesity, taxidermy, homosexuality, mutilated pets, manslaughter, insanity, depression, suicide, and chocolate. It's also one of the cutest and most genuinely heartwarming films I've seen in quite a while. And even though it's all made out of miniatures and clay, it still feels incredibly authentic. Probably because it's all based on a true story, and is the result of Australian director Adam Elliot having an American pen-pal with asperger syndrome, for more than 20 years. You just can't make up something this strange! Also interesting is how the bleak and sepia-toned colors used throughout the film subtly understated the mood-changes with different characters, and the constant voice over narration gives it all a fairytale feel, to great contrast of the insanity that is shown on the screen. If you saw the equally brilliant cult film Harvey Krumpet, by the same director, you will have an inkling of understanding what wonderful weirdness you're in for. 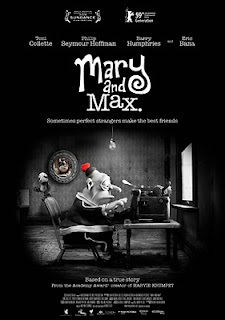 It's been great fun watching this director progress and mature with each project, and with Mary and Max, Adam Elliot proves once again that he is someone to pay attention to also in the future. All in all, this is an ingenious and original piece of work, that like Waltz with Bashir, dares explore the boundaries of animation and shows that the genre is definitely not only something children can enjoy.